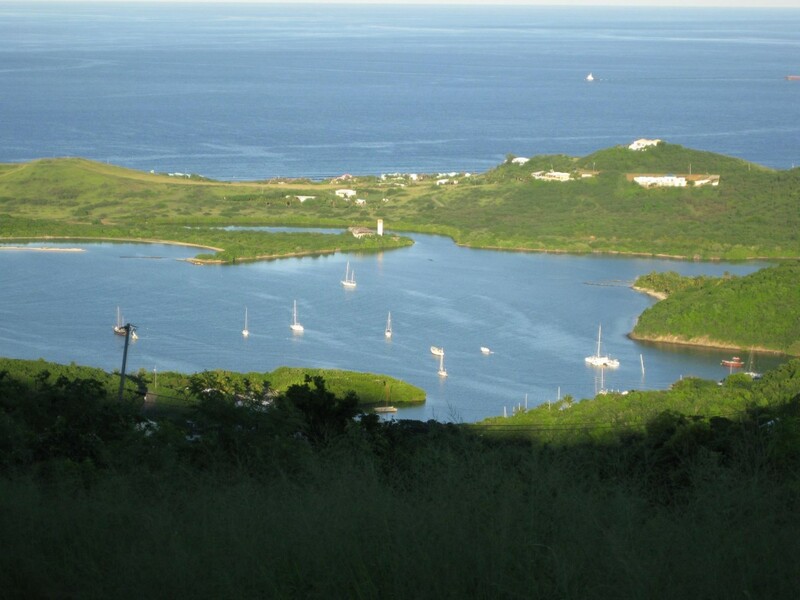 The St. Croix Scenic 50 takes place on the beautiful island of St. Croix, USVI. The course is an out-and-back route that begins in historic Christiansted and follows along the scenic rigid to Frederiksted before turning around. Be sure to take a moment to enjoy the breathing taking views as you work your way back to Christiansted and out of town to the lovely Buccaneer resort. The finish line lies between two palm trees on the magnificent Mermaid Beach. The event also includes a delicious breakfast and award ceremony at the Buccaneer the morning following the race. The 50 mile course starts at the east end of Company Street and heads west turning through Times Square onto King St. and then onto Northside Road. After a few miles and the decent down Morning Star Hill the course turns onto Northshore Road briefly before beginning the ascent up Scenic Drive East. The course follows Scenic Drive (turning into dirt jeep trails) over St. Croix's beautiful mountains into the Rain Forest before dropping onto the island's western shore at Ham's Bay. Following the shoreline, runners stay on Ham's Bluff Road into Frederiksted, turning onto Strand Street to the Turn-around Aid Station next to Frederiksted’s Veteran’s Park. The course follows the same route back along the Scenic Road and up Morning Star Hill. At the top of Morning Star Hill, runners will take a left on **** towards Judith’s Fancy. Runners will follow the marked course through the neighborhoods on the back streets parallel to Northside Road and will rejoin Northside Road at Five Corners. From there the route continues to Christiansted and then proceeds through town on Kings Street then out of town on Hospital Street to East End Road finishing at The Buccaneer's Mermaid Beach.